I picked up my Suzuki Lawsuit guitar from the Luthier yesterday. I bought this surprisingly well made LP copy new, in Belgium, in 1981 for the Belgian Franc equivalent of $300. I just had the frets crowned and leveled, and a new bone nut installed. I'm happy to be back on my Suzuki again, it gets fantastic mileage! This has been my goto guitar for the past 37+ years, whenever I played somewhere that I didn't want to bring a real Gibson to. I've played a lot of seedy beer joints, that I quite frankly, didn't feel particularly safe bringing an expensive to. I don't believe that Suzuki guitars were ever imported into the US in large quantities. The only ones that I've seen were bought overseas and brought back. They made an excellent copy of a Stratocaster and P bass as well. I believe that I read somewhere that Suzuki stopped making guitars in 1989, and began focusing on pianos and electric keyboards. I've always been very happy with this guitar, it has a mahogany body, a very comfortable mahogany set in neck, rosewood fretboard, very low action, real MOP Suzuki headstock inlay, Tune-o-matic bridge and it came with Dimarzio pickups. I played it practically into the ground, and it was in desperate need of some maintenance when I took it in. My Luthier, who always shoots me straight, said that it's the best LP copy he's ever seen, and called it a great guitar. Does anyone else have a less expensive guitar, that turned out to be a gem? EDIT : I errently called this a Lawsuit guitar, it was apparently made in reaction to the Lawsuits against the 70's Japanese copies. While it still retains the "open book" headstock, it has a visual change in the upper bout neck joint. My thanks to sascha, for schooling me on my error. 2nd Edit : After further research, I found that one big of the lawsuits of the 70's/80's was actually about copying the Gibson headstock. This guitar sports a blatant open book Gibson headstock. My Luthier took one look at it and said "ah a lawsuit guitar.... Tomatoes, Tomatoes. I have a first generation Electromatic Bo Diddley that I seriously wouldn't even trade for a Duo Jet. I only gave $200 for it, and I've added some cosmetic mods, but it plays like a dream, and the stock Gretschbucker pickups are unlike any other Gretschbucker I've ever heard-- they have a treble bite that can't be found in most Gretschbuckers of the era. This is one aggressive rock and roll machine. I had a Hondo Strat copy. It was broken when I got it, and I didn't know how to repair it. Is the model named "Lawsuit"? I can't see what this should be a copy of that would provoke a lawsuit as we know from the 70s and 80s. An Ibanez Performer looks very close but I doubt that's where the name comes from. A lawsuit guitar is a guitar that appears to be a blatant copy. As close to 1:1 to the original as possible, so that they caused a lawsuit with the original maker / brand. Small but obvious changes in appearance were not part of the lawsuits. P.S. Back to the topic: I've got a lovely acoustic dreadnought Suzuki (a bold D-35 copy that even sports the same headstock logo fond). I stand corrected Sir, I've been misinformed, thanks for clearing this up, I was going by hearsay evidence. In any case, I do really like mine, it was exceptionally well made. Actually, you can order a Chinese guitar, and have them put whatever brand you like on the headstock. LAWSUIT would be a very cool branding! One of my favorite categories: cheap guitars that punch embarrassingly above their class. More than half my "collection" falls into that category. It would be hard to pick a value leader, but an Agile 2500 mahogany-over-mahogany Less Paul certainly qualifies. 219.00, and it's my favorite Paul (over my '74 Gibson Deluxe). Any of my Japanese Electras and Westones from the late 70s-mid 80s. No one wants to hear about them, but the quality and build are impeccable, they play great, have remained utterly stable, and are simply great guitars. None over 500.00. A Jay Turser 134-DC, a mini-335 affair with a pair of 'buckers. Plays like butter, comfortable and good-looking, and smooooth-sounding. 202.00. Both of my Carlo Robelli 17" big boxes are way better guitars than their 450.00 price, as is the Ibanez Artcore AFS75T. And one would be remiss not to mention the Electromatic CVT, a TON of lightweight good-rockin' SG-killin' fun for half what it should cost. In bang for buck, the Streamliners ain't too shabby either! My partscaster built by JBGretshguy, Josh, is the Mindy Macready of guitars. Punches waaaaay above its weight. My favorite el-cheapo guitars have to be the Squires I have currently. A Custom Vibe Tele, double bound sunburst. Superior build. Plays and sounds great. A much older...maybe '93 Fender "Squire Series" Strat. Best Strat I've ever owned, and I've had some beauties. Long time ago I had a Memphis...sort of an explorer. It was a pretty cool guitar, but I was never really into Explorers or flying Vs.
Also getting almost no notice is the Fender Marauder of a few years back, with its P90 at the neck and a triple-coil multiply-tapped bucker at the bridge which delivers everything from Strat spank to a slammed gutbustin' grind you never heard from any Fender ever before. All this and it looks killer, with a unique offset shape, lovely metallic icy blue finish, and a pearloid guard. At under 400.00 new, it makes me giddy every time I maraude. 2010 MIC Tokai Love Rock LS48 premium. All mahogany, light weight, one of the best necks ever. Swapped out the generic ceramic buckers for a pair of Wilkinson A5 Zebras. Great sound and playability for less then a total of 500, including a tweed case. Edit: I have something on the horizon that might be even more bang for the buck. Great thread. Maybe we need a dollar figure limit here for discussion purposes? Without that limit, I would mention my newly won Streamliner 2655TG-P90, and not just because I won it. It’s a good guitar at $600 with good versatile tone, comfortable neck, etc. At free, it’s fantastic while allowing (although maybe not necessary) for mods and still keeping costs reasonable. My Johnny Reb Rockin’ Rebel. Back in the mid-90s there was a local firm called LA Guitar Works. 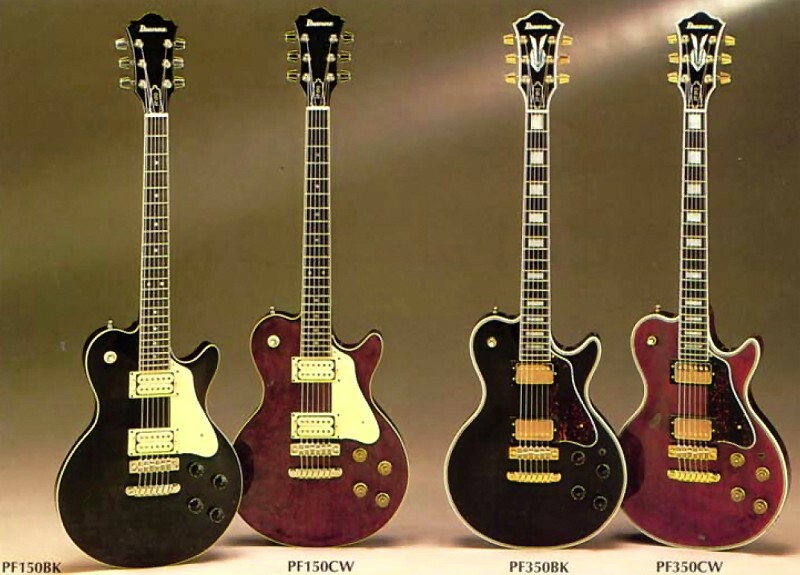 They had commissioned these semi hollow, Fiberglas-bodied, Tele-like objects from a manufacturer in Korea and sold them to dealers here in the US. MSRP was $399. In addition to the unique body design, they sported jewel-topped knobs. Light as s feather, they played and sounded way better than they should have. I first saw them at TrueTone and again at the next NAMM Show. My friend Gary Mandell, who owns Boulevard Music, saw me in their booth and I convinced him to start carrying them. He brought in a shipment and sold them all before I could buy more than one. He tried to order more, but they were discontinued. I have since bought them for anywhere between $150-$300 whenever I see them, and have had 6 or 7. This one had been relieved of its stock knobs when I got it, and the pickups weren’t stock, but Leland, who used to work at TrueTone, did an absolutely stellar job of shimming the neck and making it play like a dream. I go back and forth about selling it, thinking I’ll let it go, and then picking it up again and vowing to keep it. I’ve never seen anything on the market like it since. I'll let Shive tell the whole story, but his Matsumoku-made Skylark, from the early 80s, has been his main ride since he got it, either free or for peanuts. The buzz wuzz that Matsu had made one, maybe two, models named "Skylark" for an American department story - maybe Sears or JCP? - and (my memory is vague) the deal fell apart before all (or any) were delivered. They were kinda remaindered out through whatever channels handled such things. But the guitars were monsters: good wood, flawless neck-through construction, superb fit and finish, great hardware, played beautifully. Shive wrung every possible tone out of it, has maybe had it refretted. Anyway: classic tale of a cheapie that couldn't have been better no matter what it cost. I've been playing a Supro Belmont for the past few weeks picked it up with an amazingly fat gigbag for £300, way cheaper than it was listed online. IN 1989, I picked up a Conn (yes, the makers of trumpets, trombones, etc...) CSE-35 for $180. Even then, ES-335's were too expensive for me, a young teacher, but this MIJ "knockoff" fit the bill nicely. It was my main performance guitar for about 20 years. 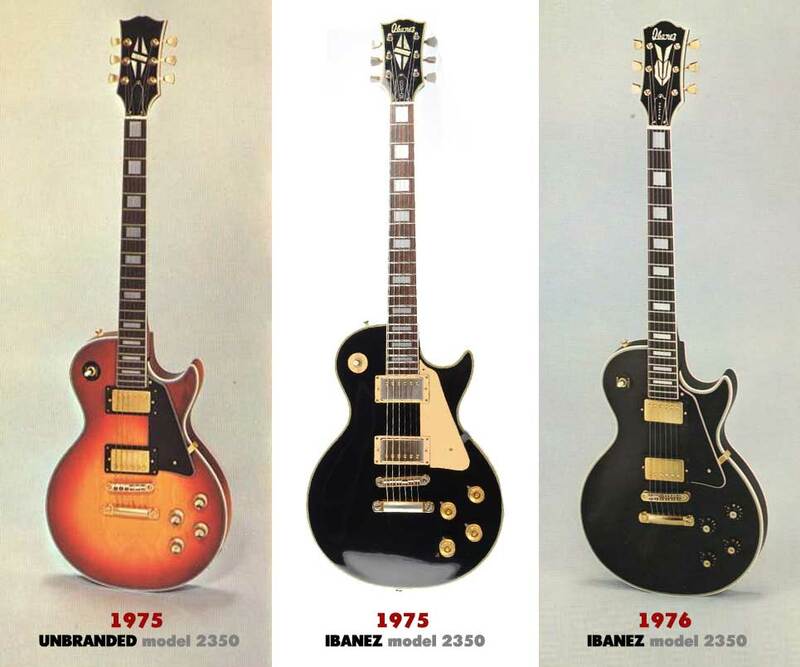 They were only made from '79 to '80: DiMarzio humbuckers, quality wood and parts. The photo is circa 1990, when I was still a young buck. Still have it. Ah, so you got Conned. There weren't any very bad Japanese builders by the late '70s, and the best (who still built on contract for pretty much anyone) were very good. You could have a Fujigen, Terada, Kasuga, or Matsumoku there. In any case, no wonder it's a fine guitar. I wouldn't argue the point for a minute. Both Tokai and Aria (Matsumoku) made Conn acoustics... not sure if they made the electric models or not. Suzuki had two factories in Kiso and Hamamatsu where they made popular Suzuki guitars. The Hummingbird Suzuki guitar was manufactured in the Kiso factory. Suzuki is also credited with making the Canora and Takeharu badged guitars along with Marco Polo acoustics. Holly is another badge ascribed to Suzuki." I still can't say enough good things about my Suzuki guitar, I prefer it to my 78 and 96 Gibson LP's. It just feels better to play, and the stock Dimarzio's sound great. It is also easier to get and keep in tune, having an approximate 10° headstock angle, rather than the 17° of the Gibsons. It's evident, by the number MIJ postings on this thread, that Japan was certainly putting out some high quality lower priced guitars over the past several decades. My experience with them is overwhelmingly favorable, I also own a Suzuki "neck thru body" Stratocaster copy that is very beautiful and delightful to play as well. I also bought it in Belgium, a couple of years after the other one for even less money. The fit and finish on some of these MIJ models approaches perfection. Wade H wrote: Does anyone else have a less expensive guitar, that turned out to be a gem? It was an odd situation, but I was able to purchase a 2007 Gibson Melody Maker for $300 USD a few years back. It came with a set of uninspiring Strat-like pickups that I replaced with T-Armonds. So, with a total investment of around $500 I've been really happy with the guitar. I'd also say that the DeArmond line were inexpensive, yet great quality instruments. I have a soft spot for 'cheaper' old stuff. I started in the 80's with a unknown LP copy, but traded that for a Ibanez Howard Roberts. Lovely guitar, still own it, although it's completely modded. My latest discovery are the Takeharu guitars. Only made in the 70's, but can be found quite cheap. At least i got then cheap! I found a very rich sounding 12-string and a FT100, a smaller steel-string acoustic. They sound tremendous, even though they got those weird adjustable bridges. Then there's a Maya LP-junior copy and a Japanese Squier Tele, so yeah. I like those cheap buggers!